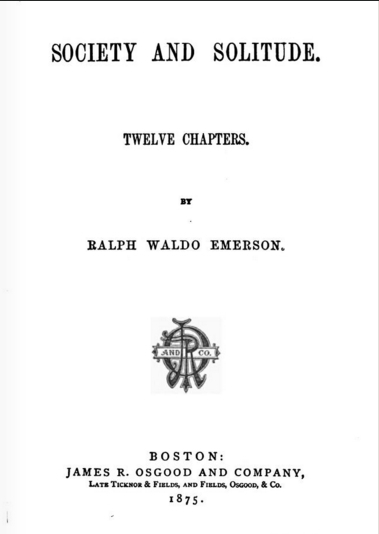 This book of twelve essays published in 1875 is a collection of lectures delivered throughout Emerson's career. Composed with his characteristic spark and wit, they are touching reflections on a life well spent. Each chapter begins with lines of verse followed by his narratives which share a common cheerful theme: the world is filled with goodness for those willing to receive it. They lack the "propagandist fire" of his earlier writings. We offer his firey essays in our Emerson collection. The book is often studied in grades 9-10 in Language Arts or history class. Return to the Ralph Waldo Emerson library.